I first visited there in early April 2017. It was a hot noon at Orange city, and I decided to go there at 1pm. 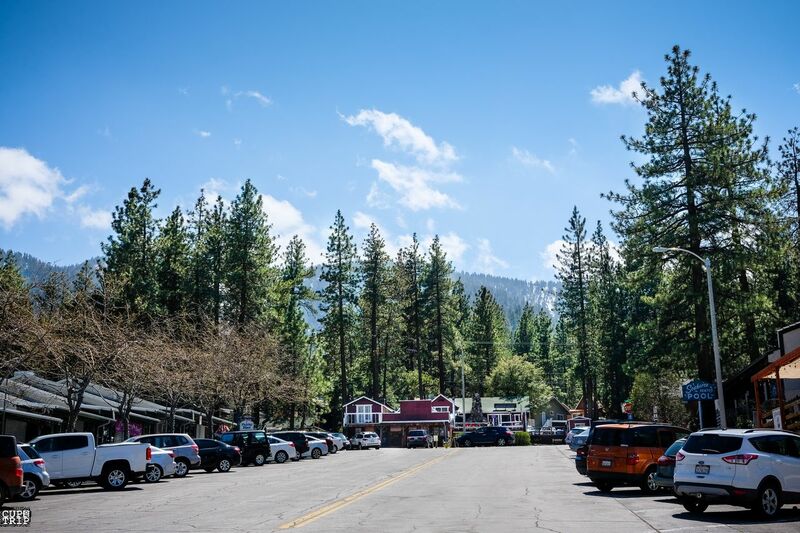 For a warm afternoon in Orange, I had a T-Shirt on and when I arrived at Wrightwood, it was about 10 degree lower: about 8 degree centigrade! It was cold and I could see people are wearing jackets and warm cloth. So I had to keep moving and stay active to keep myself warm! 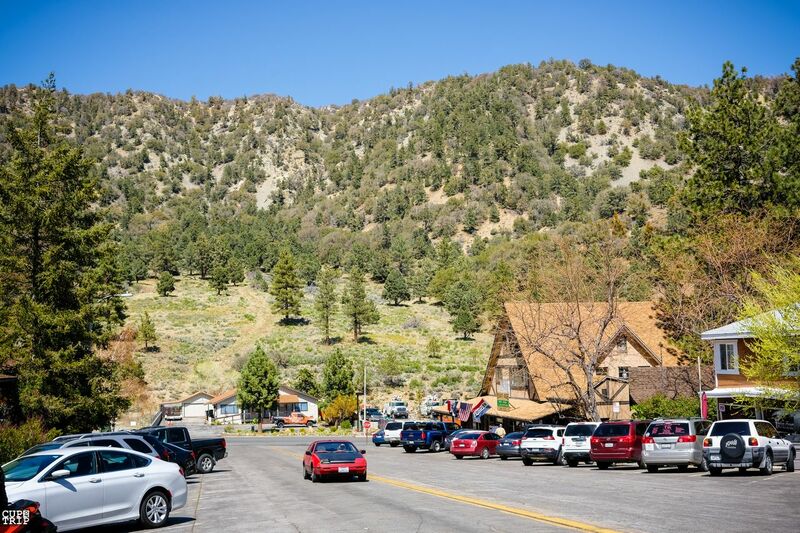 always check weather with Wrightwood before take a visit there! 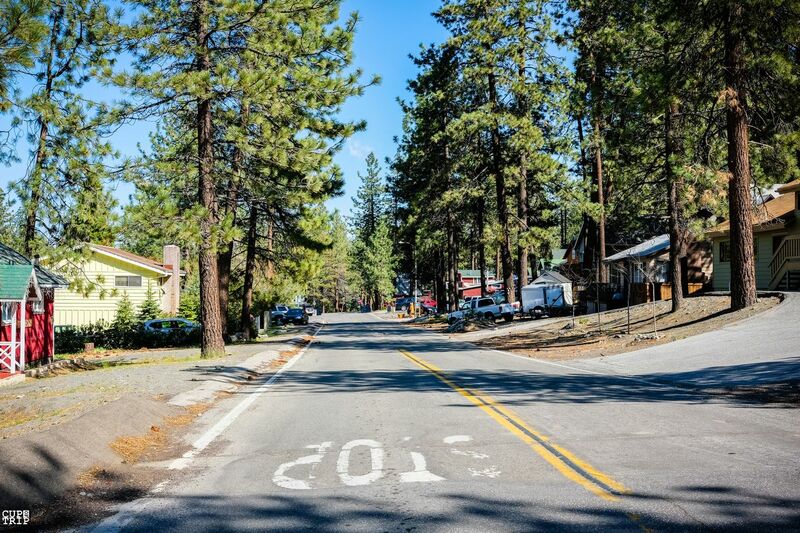 Wrightwood is a calm and peaceful town, with houses scattering around. 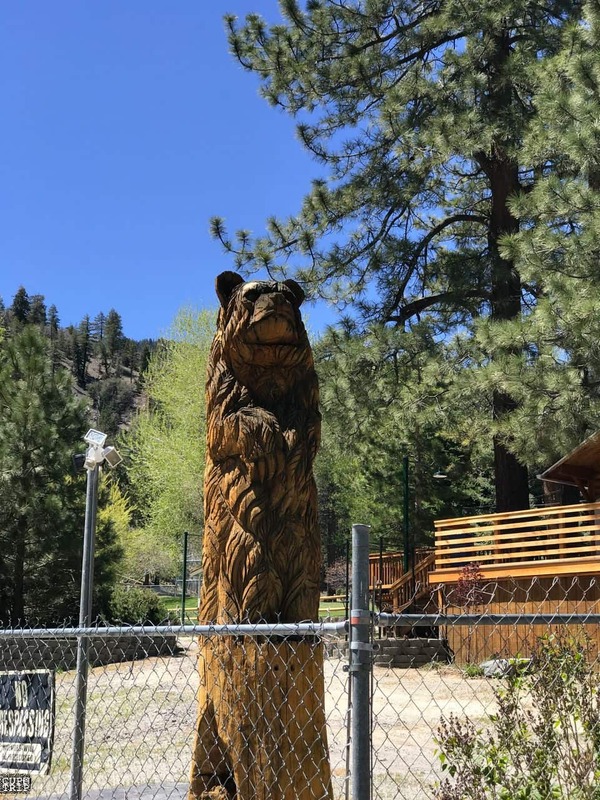 By the look you can see they are designed for cold weather, and by photos on Google Maps or Instagram, or Wrightwood website, you can see lots of snow (Is it really California ?!). 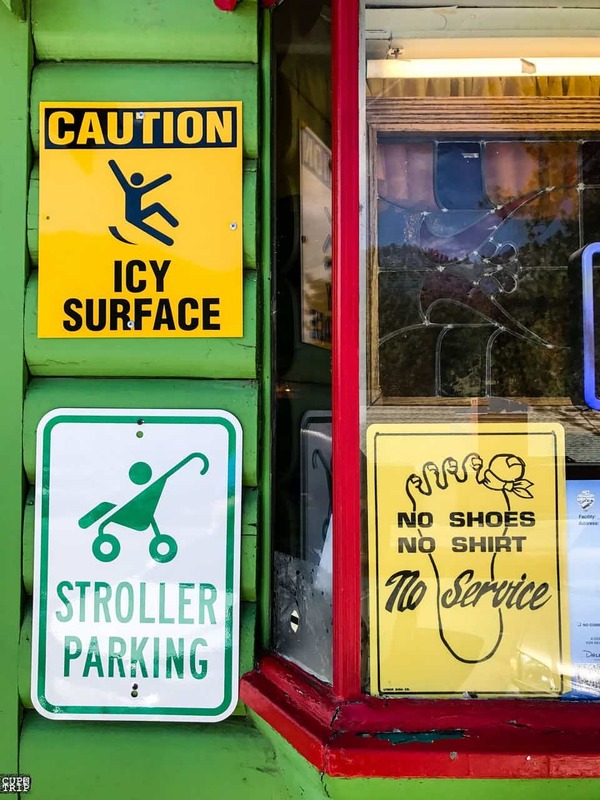 There are some diners, bars, and souvenir shops around. Playground, Golf course and even a brewery are available here as well. If you want to spend more time here in winter, there are places available for rent. Those who want to have a walk and enjoy nature also can follow trails and head to mountain. 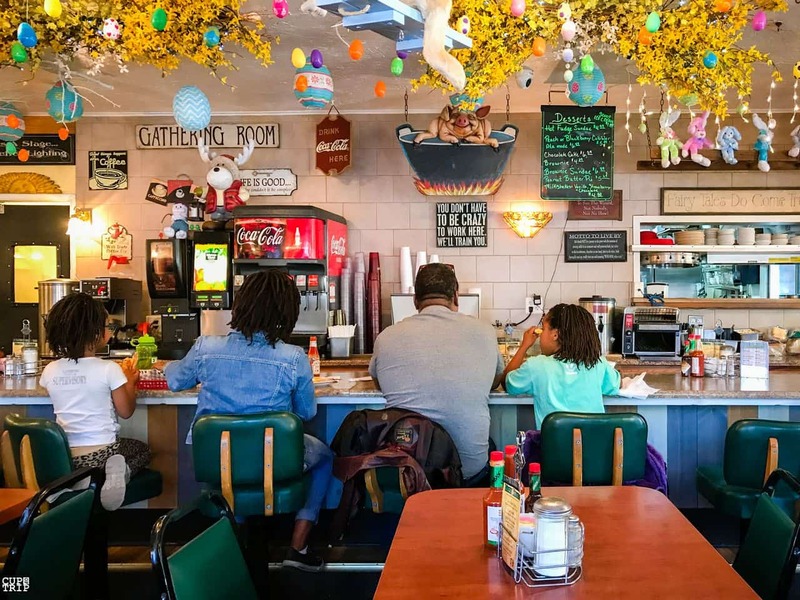 Even if you are not type of person to walk around, you can enjoy interesting diners and eateries here. There are couple of choices here to eat, and I can say they are far better than what I was expected. 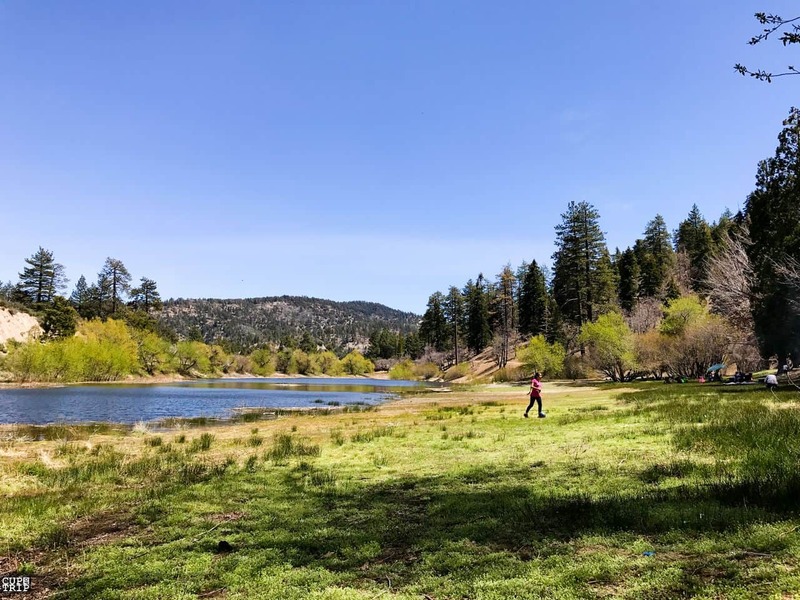 Jackson lake is near Wrightwood and can be nice place to lay down. 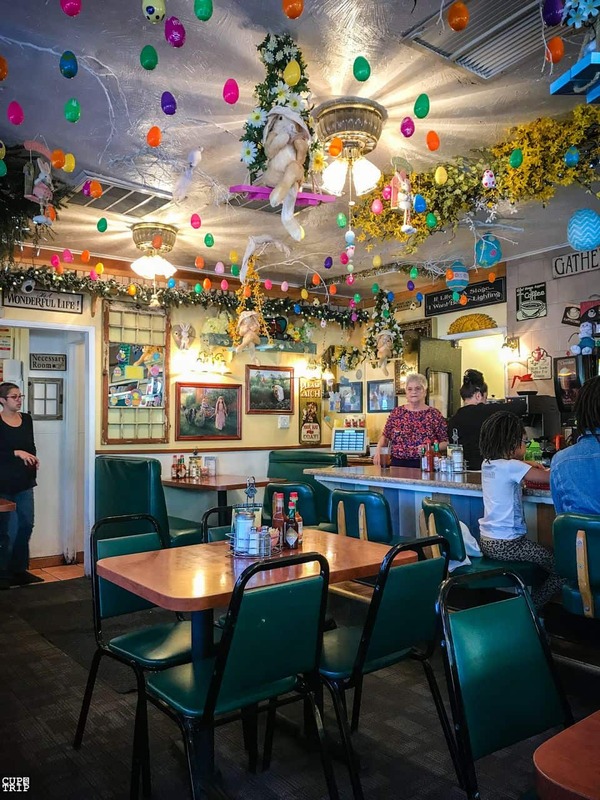 Evergreen Cafe was all ready for Easter! 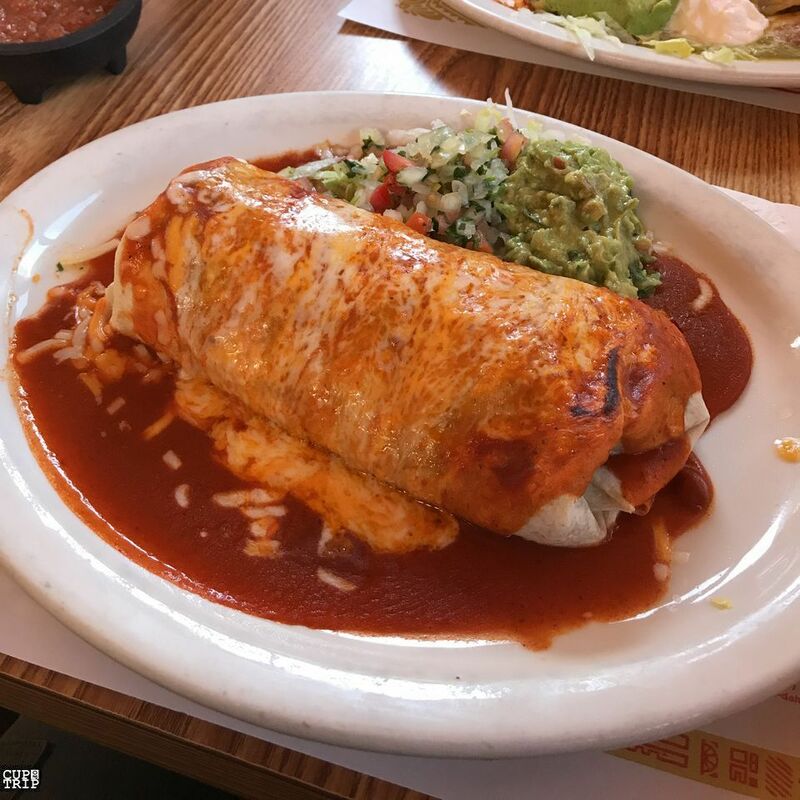 If you like Mexican food, be sure to check out Mexico Lindo & Seafood Restaurant. Burritos and drinks recommended!